Hafiz Osama Hafiz Elshazali, Osama Hafiz Elshazali, Hafiz Elshazali. covering all patients who were referred to the Paediatric Echocardiography Lab at Ahmed Gasim Cardiac Centre between September and October 2016. Infants with genetic syndromes or other major extracardiac abnormalities were excluded. The findings of this study clearly demonstrate that infants with CHD are more likely to be of low birth weight than the general Sudanese population, by a factor of 2.6. Of the sample, 31.9% were born with low or very low birthweight. The mean birth weight of the cases was 2.59 kg, which is 17.3% and 542.4 g less than the national average. CHD that cause a decrement in birth weight in a descending order of severity were atrial septal defect (â721 g/23%), patent ductus arteriosus (â669 g/21%), ventricular septal defect (â610 g/19%), pulmonary stenosis (â548 g/13%) and tetralogy of Fallot (248 g/8%). Pre/postnatal growth impairment is a common feature among children with CHD. No statistically significant relationship was found between the degree of birth weight/weight to age decrement and the specific type of hemodynamic disturbance. Our results are comparable to other studies that have been undertaken. 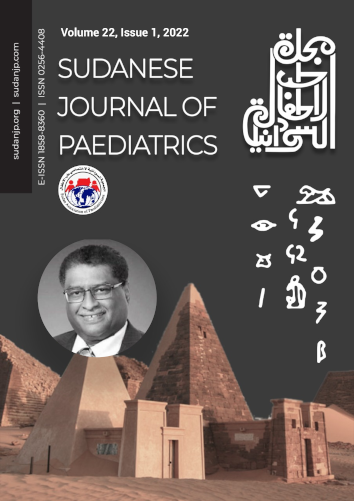 However, Sudanese patients display larger birthweight deficits than other populations.